Malaysia’s new Foreign Minister Saifuddin Abdullah said on Monday, July 30, that there were still opportunities to review the water deal between Singapore and Malaysia. His statement came even after Singapore expressed on numerous occasions that Malaysia had lost its right to review the price of water. Minister Saifuddin was still hopeful as he said, “I think proposals and counter proposals can be brought to the table when we have a proper discussion…surely we can continue the discussion”. He also added, “The agreement says the content of the agreement can be reviewed after 25 years. It doesn’t mean at 25 years… so we can continue talking”. 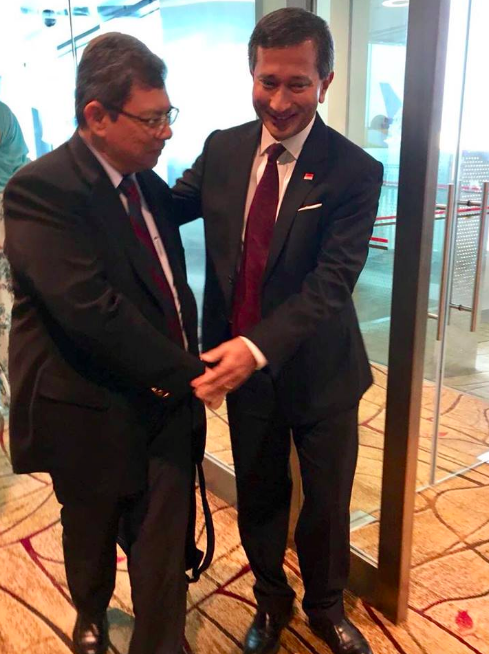 Mr Saifuddin’s first official visit to Singapore was on Monday, where he met President Halimah Yacob, Prime Minister Lee Hsien Loong and his Singapore counterpart Vivian Balakrishnan. In a parliamentary speech on July 9, Dr Balakrishnan expressed that Singapore’s water agreements with Malaysia were “the basis for Singapore’s very existence as an independent sovereign state”. The Republic’s water agreements with Malaysia were signed in 1961 and 1961. The first agreement expired in 2011 and the second is set to expire in 2061. In his speech, Dr Balakrishnan also said that Malaysia had “lost its right” to review the price of water under the 1962 water agreement in 1987, adding that Malaysia chose not to ask for a review in 1987 “because they benefitted from the pricing arrangement”. Tensions over the price of water have been high, with Malaysian Prime Minister Tun Dr. Mahathir bin Mohamad asking for increases in the price of water. After his meeting with Mr Saifuddin on Monday, Minister for Foreign Affairs Dr Balakrishnan took to Facebook to add that he looks forward to working “closely together on a forward-looking agenda to strengthen our bilateral ties and regional cooperation”. However, his post had no information on the water situation or on Mr Saifuddin’s comments.